Thomas has been competing in international motorsport for the last 25 years and has probably driven all the main ‘Super’ and ‘Hypercars’ on today’s market. 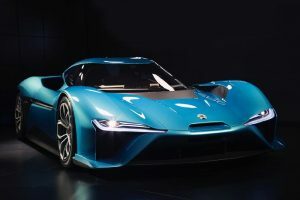 This includes just about every model from Ferrari, Lamborghini, Aston Martin, McLaren and Porsche, as well as many others that are even more rare, more desirable, and more extreme. 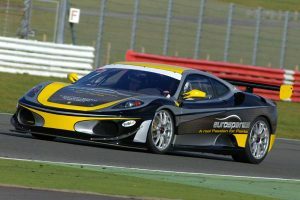 His experience in handling high performance race and road cars can be put to good use when it comes to selling a Supercar on your behalf. Thomas is someone who really knows about fast cars and how to handle them. Bringing in Thomas to sell your car ensures that everyone – you and your prospective purchaser – will experience something unique and truly memorable. 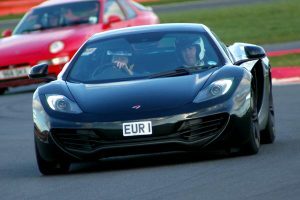 As a special incentive with hugely persuasive potential, Thomas will take your buyer out onto a race circuit, under safe and controlled conditions, to provide a half day’s training on high performance driving. 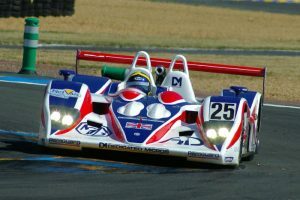 This will not only allow the potential new owner to learn the limits of the car, but he will also benefit from valuable instruction in high performance driving techniques, under instruction from a two-time Le Mans winner and Grade A Licensed Race Instructor. (Please see this page for more background on Thomas). The additional advantage to you is that assigning the sale of your car to Thomas at GEN11 Motors will also take all the hassle out of the selling process. Not only will you be relieved of the responsibility of sorting out the paperwork, but we will also tackle all the hazards that can be associated with selling such a specialised motorcar, leaving you to relax and focus on what really matters to you. Timewasters, Test Pilots and Tyre Kickers … they not only take up hours of your time, but worse still, some never even turn up! Private sellers remain legally liable to the purchaser for a period of time – we relieve you of that responsibility. As a private seller, you have no control over the kind of person that might turn up at your door to view the car. Would you want to invite them into your home? Is your potential buyer correctly insured to test drive your car? Can you risk being scammed? There are so many ways that unscrupulous buyers can take advantage of the system. Most are financial – counterfeit money and bankers drafts, fraudulent cards and internet banking, but the list is lengthy. Some are ‘professionals’ just looking for their next victim. Car jacking. You take out a buyer for a test drive, but you’ve never met them before. You don’t know anything about them, so how might it end? Due to sophisticated immobiliser technology, modern cars are very difficult to steal without the keys. Invite someone round to your home to see your car, and they immediately know your address, your car, perhaps where you keep the keys, and may even have checked out your security systems while they were “just looking”. Obviously this list features some worst-case scenarios, but these issues do arise, and can be very real. We pride ourselves in bringing a high level of professionalism and service to the selling process, and we will ease your worries and relieve you of so much responsibility. If you have a high performance vehicle to sell, and feel we could help you, please give us a call or complete the form on our Sell Your Car page.